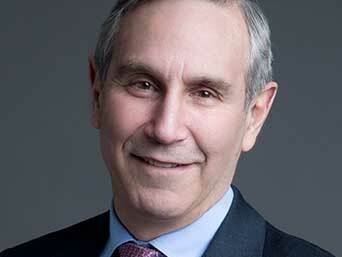 Richard Edelman | HOPE Global Forums | Presented by Operation HOPE, Inc.
Richard Edelman is the president and CEO of Edelman, the leading communications marketing firm, located in over 60 cities with more than 6,000 employees worldwide. Richard has extensive experience in marketing and reputation management, having led assignments with major corporations, NGOs and family businesses in over 25 industries around the world. He has counseled countries in every region of the world on economic development programs. As the creator of the annual Edelman Trust Barometer, Richard has become one of the foremost authorities on trust in business, government, media and NGOs. Under Richard’s leadership, the agency has garnered many of the industry’s top accolades. Richard, himself, also has earned many industry honors. He topped PRWeek’s list of most powerful executives (2013), was recognized as the third-highest-rated CEO by Glassdoor (2014) and was inducted in the Arthur W. Page Society’s Hall of Fame (2014) among others. Richard serves on the Board of Directors of the Ad Council, the Atlantic Council, the Children’s Aid Society, the 9/11 Museum, the University of Chicago Medical Center and the National Committee on US China Relations. He is a commissioner on The Business Commission and a member of the World Economic Forum and PR Seminar. Richard earned his M.B.A. from Harvard Business School in 1978 and a Bachelor of Arts from Harvard College in 1976.